So… 2018 was not exactly the best year of reading for me. I didn’t read nearly as many books as I had hoped, and I didn’t branch out as much as I had planned. 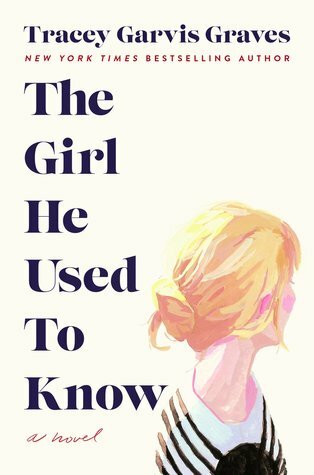 I tried out quite a few new authors (18 of them!) in 2018, and I didn’t like many of them. lol. So I’m sharing eight new-to-me authors I discovered this year that I really loved and plan to read more from! In parentheses I’m noting which of their books I read last year. Which authors did you discover in 2018? Which books of theirs made you fall in love with their writing? I don’t know about you, but 2019 is shaping up to look like a great year of books for me! I guess I say that every year, and it’s really bad for my TBR, but oh well! Here’s a list of the ten I’m most excited about that are releasing through June of this year. 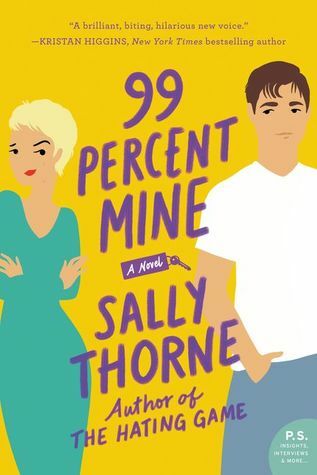 I LOVED The Hating Game, and I cannot wait to read this next book by Sally Thorne! I received an ARC for this one, and I think I’m going to start it as soon as I finish my current read. 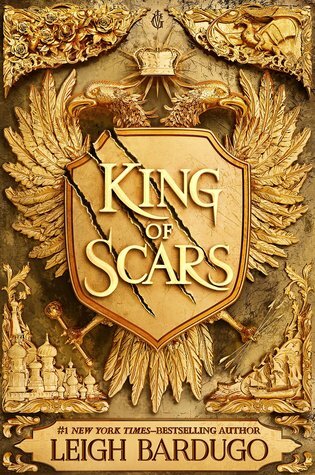 Nikolai is probably my favorite character from the Grisha trilogy, and I’m so excited that he’s getting his own duology now! 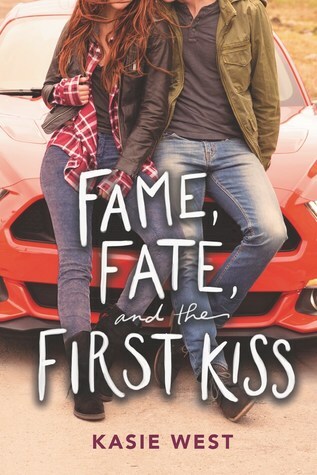 Kasie West writes some of the cutest YA contemporary romance, and even though I don’t love Hollywood/actor/famous people romances I’m hoping Kasie does me proud on this one! 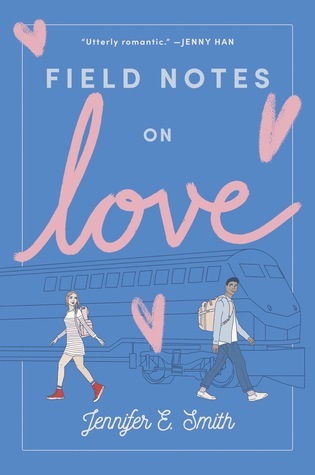 I was slightly iffy on this one because Jennifer E. Smith is kind of hit or miss for me, but a few things about the synopsis signed the deal for me. 1. College train trip across the United States. This sounds so fun!! 2. The companion ticket is booked in his ex-girlfriend’s name, so he lists the ticket online looking for other girls named Margaret to go on this trip with him. Sounds like such a fun unique premise! 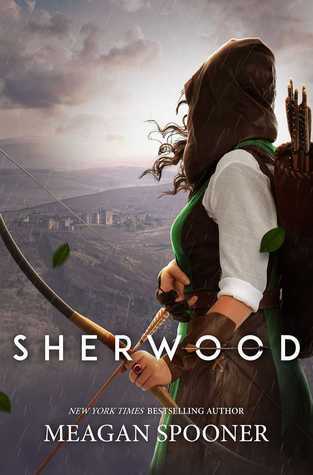 I love Meagan Spooner’s writing, and a female Robin Hood sounds very interesting to me. The clincher, though, was when I found out the audiobook is narrated by Fiona Hardingham (one of my favorite narrators). I pre-ordered it immediately at that point! I actually got a VERY early review copy of this book last April because I was Tracey’s subject matter expert for the book, but it is AMAZING you guys! It’s so, so good. I cannot wait to own a finished copy for my personal library, but I also can’t wait to see what the world thinks of a book I’ve loved for a long time! I’m reading this one right now, and it’s so wonderful so far! I love Jenn’s contemporary romances because they are always so unique and have the best swoony boys! 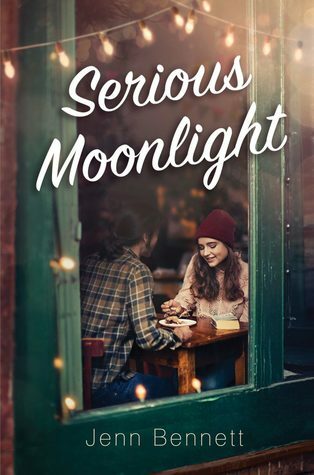 I love the diner in Serious Moonlight, and Birdie’s hilarious Aunt Mona is perfect. I love the slight mystery aspect and swoony Daniel. Do yourself a favor and pre-order this one! There’s no cover for this one yet, but I might be unreasonably excited about The Unhoneymooners. It sounds like it was written for me. And it doesn’t help that I love everything these two ladies write. Two enemies are the only survivors of a wedding food poisoning debacle and end up going on the honeymoon together because someone has to! This just sounds like it’s going to be amazing. Listen. 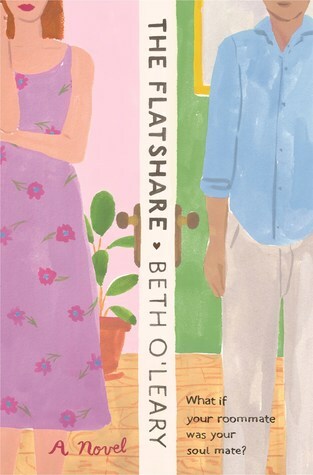 This book is about two strangers sharing an apartment. “Leon, a night shift worker, will take the apartment during the day, and Tiffy can have it nights and weekends. He’ll only ever be there when she’s at the office. In fact, they’ll never even have to meet.” They develop a friendship by communicating through notes they leave around the apartment for each other!!! When does a friendship ever not turn into more than a friendship? This sounds GOLDEN. Which books are you looking forward to over the next few months? 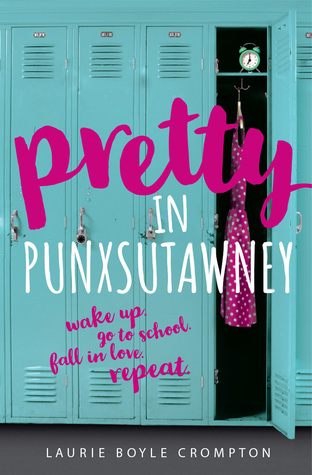 Welcome to The FFBC’s blog tour of Laurie Boyle Crompton’s Pretty in Punxsutawney! As one of the co-owners of The Fantastic Flying Book Club, I had the exciting privilege of organizing this blog tour and interviewing Laurie! 1. Your bio mentions that you taught in an all-boy high school. Did you take anything away from that experience that helped you as a writer of YA fiction? I learned that high school boys are just as awkward and nervous about growing up as high school girls are. Some of them take things like grades too seriously, and some of them really need to wake up and start caring a little bit about things like grades! Mostly I found that if you can make them laugh you can gain their trust, and when they open up they can come up with some amazing insights. I also learned that you should maybe not ever let your guard all the way down since some of them are expert spit-ball shooters and I *may* have gotten hit in the face once and had to go out in the hallway to give myself a little pep talk that I could *do this. * It’s probably for the best that I switched my focus to writing that first summer I had off. From there I moved on to working in a bookstore where even the most irate customers were much easier to deal with than teenage boys will ever be. 2. Your bio also states that you worked as a “toy expert”. What did that entail? Working as a toy expert for a toy magazine was one of my favorite jobs and I highly recommend it! My office was lined with bookshelves filled with kids’ books and games and companies would constantly send us their newest toys. Probably the very best part? Spending a week every year at Toy Fair! That’s the trade show in NYC with all the latest toys, games and books all in one place. As a trade writer, my JOB was to explore the exhibits and find the most fun and innovative inventions and basically just play! It’s almost (but not quite) as much fun as writing fiction. 3. You’ve lived in many different places. Which has been your favorite one? I grew up in western PA, but we had family in New York who we’d travel to visit a few times every year. As soon as I turned eighteen I moved to Queens, NY and it feels the most like home to me. My husband and I have lived in Florida and England, but always find our way back to New York and there’s something about being in NYC that makes me feel I’m in the center of the universe. That may sound silly, but from what I understand, it also kind of makes me an official New Yorker. 4. What are some of your favorite YA books? I grew up reading Judy Blume so will always have a soft spot in my heart for books like Blubber and Are You There God? It’s Me, Margaret. I have eclectic taste, so I’m happy reading everything from John Green to A. S. King to Elizabeth Acevedo to Rupi Kaur. One of the cool parts of becoming a YA author is that I sometimes get to meet and hang out with awesome authors such as Jess Verdi, Stewart Lewis, Shana Silver and Patty Blount. YA authors are truly some of the nicest and most generous and creative people you’d ever want to meet and I consider myself so lucky to be among them. 5. What do you enjoy doing when you’re not writing? I love spending time with my family, including our three dogs who I call the pup-turducken since they can each stand over one another in small/medium/large size order. When I’m not writing, I can usually be found on a train or subway heading to television sets where I work part time as an extra, (and sometimes spend hours writing while waiting in holding!). I also love hiking and cross-country skiing through nature upstate. My default-downtime-setting is hanging out on the couch in our home on Long Island, either reading or sometimes drawing with Hulu or Netflix constantly checking in to see if I’m still alive. 1. Pretty in Punxsutawney tips its hat to several popular movies from the 1980s. Was it challenging for you to incorporate these movies in to your book in a way that appealed to today’s teens? Incorporating the teen movies from the 1980s was so much fun! Certain aspects of the films certainly feel dated, but the core emotions are still relevant to teens today. Plus, re-watching those classics was so much fun! It hard to imagine The Breakfast Club or Ferris Bueller’s Day Off happening today because it’s easy to picture kids sitting in the school library just playing on their phones through detention, or Ferris and Cameron playing Fortnite all day. But teens today wrestle with many of the same issues and insecurities as teens back in the days of neon slouch socks and John Hughes movies, and adolescence will always have certain universal challenges that it feels good to relate to. 2. Pitch your book to teens that have not seen Pretty in Pink or Groundhog Day, and therefore don’t necessarily understand the book’s back cover summary. Pretty in Punxsutawney’s Andie is obsessed with 80s movies, but readers don’t need to be familiar with 80s movies to come along for the ride! Andie is just like any other girl, really, who happens to find herself looping through the same day over and over. It just so happens that the day she keeps reliving is her very first day at a brand new high school! Andie’s opportunity to re-invent herself is never-ending as she learns from her mistakes. The Pretty in Pink themes of breaking down cliques and ‘don’t judge a book by its cover’ are pretty common and universal and certainly don’t require watching the movie, but then again, the movie is streaming on Netflix right now and stars Molly Ringwald and so what are you waiting for? 3. If you could relive any day in your life over and over again, which day would that be? Why? Actually, repeating just an ordinary day with my family would be perfect. My wedding day was great but also super stressful and even the day I sold my first book was exciting but nerve wracking since I knew right when they were having the acquisitions meeting. Of course, I was thrilled with the outcome, but can’t imagine going through all that stress over and over again. I’d be happy with just a nice, lazy day with my loved ones and dogs all around me. It sounds boring I know, but those are my favorite days and since I live near NYC I could always spend a few years exploring the city and still have more new things to experience. 4. If you wrote yourself into this book, what kind of character would you play? I’d love to envision myself as a wise teacher character who distributes perfect words of wisdom and encouragement, but please note aforementioned experience as an actual teacher. I’d most likely be the teacher that kids all manipulated into canceling quizzes and extending essay deadlines to the point where I’d get fired. And honestly feel relieved. 5. What do you hope your readers take away from this book? We should all strive to make the most of each day we are given. Andie’s attitude and actions completely changed the type of day she had. We may not be in control of everything that happens to us today, but with the right attitude we can make it the best day possible! Here’s to making each day the best we possibly can! 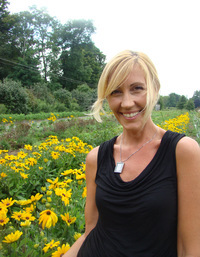 Laurie occasionally enjoys hanging out in fields of blooming flowers and also referring to herself in the third person. Lily has managed to save the duchy of Marin, with the help of her twin, Sophie. But now Sophie faces an even greater threat. Can she save the cursed kingdom of Palinor from its beastly prince? 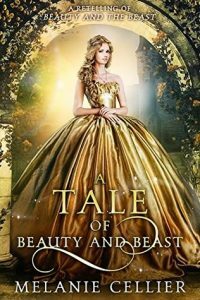 I love Beauty and the Beast retellings, and after really loving the first book in this series I was even more excited to get to this one because I knew it would be amazing. Be careful reading any further, as this review will spoil who won the Princess Tourney in A Dance of Silver and Shadow! 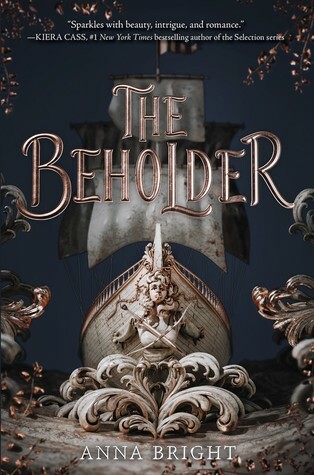 The Princess Tourney is over and, as its winner, Sophie sets off on a curious and magical journey to Palinor to meet her betrothed: the beast (aka Prince Dominic). Since she’s the narrator this time, readers get to finally know Sophie better. I really liked her, and I felt I identified more with her than I did with Lily in the first book. Sophie arrives at the castle after a long journey in a carriage driven by an invisible force through a wintry wilderness, and finds it to be empty of people even though it looks taken care of. After some exploring she begins hearing voices of people she cannot see. She calls out to them, startling a whole staff of people who work there. They were not expecting her to be able to hear them. Dominic is not invisible, but he cannot speak to her and communicates through abrasive notes. It’s pretty obvious the kingdom has been placed under a curse and, of course, Sophie is going to try to break it and save the people she’s begun to form strong bonds with. The romance also begins to blossom and thrive as time goes on and we learn more about our tortured beast. There are numerous ties to the original tale of Beauty & the Beast, as well as the Disney version. Melanie Cellier does find unique ways to make the story her own, however. Lily is still a part of the story, although the kingdom is quite isolated. I loved the secondary characters (the wait staff), and their interactions with Sophie. They look out for their master even though he’s kind of a jerk, but they also validate Sophie’s concerns and sympathize with her plight. I loved the relationships she formed with them. I really loved Melanie’s writing, too. Really my only complaint is that the female narrator did a pretty awful job portraying Prince Dominic’s voice. I felt the same with her portrayal of the male characters in the first book, too. All in all, this was a very nice retelling of Beauty & the Beast! I love the writing, and I enjoy listening to these books even though the narrator bugs me a bit at times. I’m excited to read more from Melanie. Happy New Year, bookworms! I’ve decided 2019 is going to be my year, and I’m so happy to say goodbye to 2018. BUT… I did read some great books in 2018 and here they are!